According to www.cnbc.com, the resale value of your house is almost 56% of the entire cost of remodeling the house. In the life of most of the homeowners, the time is going to come when they are going to think of not only remodeling but also upgrading all the current amenities that they have. Whether you are interested in adding more space to the rooms, upgrading the materials that already exist, you are looking forward to gaining more functionality, you need to understand that it is not an easy task to remodel your house. Before you take the decision of remodeling everything, it is crucial that you understand numerous factors. It is true that once you remodel your home, it is going to look beautiful and amazing, but ensure that you take care of the tips that have been mentioned below before you are remodeling your home. Every remodeling project is not considered to be equal. Before you have decided about the project that you want to start first, you need to determine your experience as well as skill set before you start executing the project. Most of the projects are responsible for involving more expertise in comparison to different other projects. You can think that the only thing that you have to do for replacing your lighting fixture is only detaching the fixture that is present. However, there is a high chance that you will not consider turning off the power and do the various other necessary things, which are crucial. It is important that you carry out research before you begin or in order to be safe, it is best to call the professionals. Saving money is an important concern and there is no one who is going to disagree with that. Most of the homeowners tend to save money by asking help from their family members as well as friends. This has often been responsible for costly mistakes, damage, and accidents. If somebody who does not have the proper experience for a particular task does that chore, it can not only ruin your home but can also lead to accidents, which require medical attention. You can use your family members or friends for moving the belongings, cleaning, or any other important household task. Ensure that you are only allowing the experienced family members or friends to assist with the entire task of home renovation. It is obvious that you have done research about the total money that is required for the materials, hiring professionals, as well as various other miscellaneous components, which are absolutely necessary for remodeling your house. Despite this fact, there is always a chance that the total money that you spend is exceeding your budget. This is why it is suggested that you have a budget that goes over your original budget. Most of the remodeling projects are known to involve circumstances, which cannot be conveyed until and unless the project has started. Opening up the walls can lead to various plumbing, electrical, or structural surprises. Remodeling the older homes may be responsible for leaking pipes, wood that is deteriorating and rotting, or unveils mold. You need to keep this on your mind and ensure that you are creating two budgets. One budget should include the complete costs of remodeling on basis of the research that you have conducted. Another budget needs to have money allotted for the extra surprises that may pop up. This is going to ensure that you are completely ready for the renovation. Similar to your budget, you cannot deny the fact that time is also another factor, which cannot be underestimated at all. It is true that numerous home improvement projects are completed within two or three days, but you cannot forget the fact that numerous professionals are working on those projects. 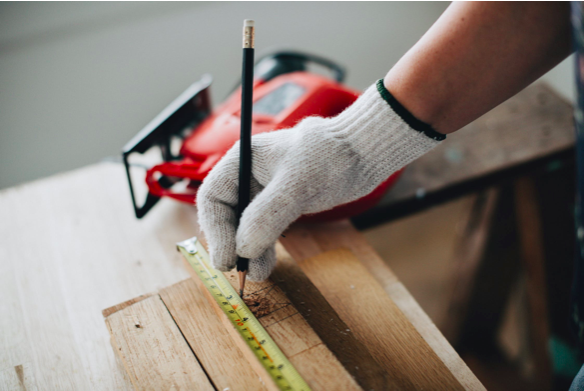 To understand the total time that is required for a home improvement project, you need to understand your level of experience. Moreover, if you are deciding to hire professionals, you need to know if they have the proper tools for carrying out the entire project. You need to take care of all of these when you are planning your time schedule. However, you can never guarantee the fact that your home will be remodeled in 2 to 3 days. Also, if you are planning to remodel your bathroom, you can take help from the professionals of Bath Remodeling Long Island. There are numerous homeowners who have the assumption that any kind of remodeling or construction within their home is extremely fair. Depending on the location of your residence, you need to consider rules and regulations that are prevalent in your area. Ensure that you have proper knowledge about these regulations or else you will be landing up in legal trouble. If you are doing anything that is not permitted by the rules of your locality, you can seek permission. However, if you do not get permission, it is best to avoid that particular kind of renovation. If you are choosing to hire the professionals, it is crucial that you go through the work that they have already done. Also, proper communication as well as conveying the intent that you have is necessary. You need to go through the different pictures that you find and also communicate with the people who have already hired the services of the professionals, whom you have contacted. Ensure that you are not only relying on the verbal explanation that they are providing. You need to see their work before you are finalizing your decision of hiring them. It is probably one of the most difficult tasks to start your home remodeling project. However, it is crucial that you consider the tips that have been mentioned above, so that you can avoid the mistakes that most of the homeowners tend to make.